Bell Gears have extensive and specialised skills in the design and manufacture of spur gears. Our team of highly skilled engineers have been designing and making them since 1947. NB: Larger gear pitches can also be cut. Please refer your enquiries to our sales department. Spur gears are the most common type of gear, and are used in all industries. 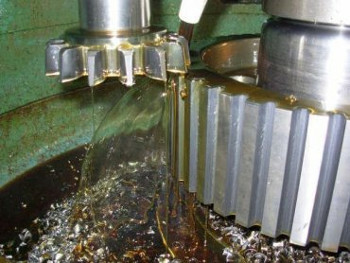 The term spur gears is used to describe cylindrical gears with straight teeth cut parallel to the axis of the gear, and are mounted on parallel shafts to transfer power from one shaft to the other. Spur gears give a high degree of efficiency, and due to having straight teeth produce no end thrust. They give excellent results at slow to medium peripheral speeds, but tend to be noisy at high speeds due to them having a parallel line of contact, although profile grinding will greatly improve noise characteristics. There are 3 main manufacturing processes for generating spur gears, and these are planing, shaping and hobbing. A gear planer utilises a rack cutter, shaping a circular disc cutter and hobbing a cylindrical hob tool. At Bell Gears we have a variety of machinery which cover all of these processes.